Splendid tool for EML to PST Conversion! Maintain folder hierarchy inside PST file. 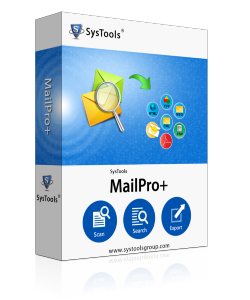 Supports EML files from Different clients such as Windows Live Mail, Mac Mail etc. Different view modes such as Horizontal or Vertical. Provides Seven different views for Email analysis. Along with EML to PST, the EML to PST converter software converts EML files in more than six file formats. Click on scan to select file type. Browse selected file from local storage. Tools provides search option embedded with logical operators. Select emails using checkbox and then right click on it to export. Choose file type in destination. Browse location to save it and click on OK to execute process. Being the system administrator of large MNC , I have more responsibility and roles . Now days I am quite busy in moving from current email clients to other . The estimated size of the data is about 1000 emails (8GB )of each employee. Migration of sensational data needs high attention and strain. I do not want to compromise with the quality and quantity of data. Time taken to completely convert the eml files to default files used by MS Outlook? Can I directly import EML file to Outlook? The data must be in compressed form ? Is my data corrupted or leaked during conversion? The data security and confidentiality is the prime need of any organization. The data security is the major concern when migrating or converting the data to other platforms to enhance the ease of use or productivity.Conversion of the bulk amount of data need sophisticated care and management, but you do not need to be panic because EML to PST Converter Software does your work in a professional manner without needed much attention and care. With the use EML to PST migrator tool, you can convert your any type of EML data irrespective of size limitations. The tool is so easy to use that anyone can operate it without having any technical background. Is it mandatory to install Outlook for the Conversion Of EML to PST? No, It is not necessary to install Outlook for the conversion process but to view the PST files you need outlook. Is there is any limit on EML file for conversion to PST? No, there is no file size limit for the EML to PST Converter. It is not easy for me to import EML files to PST,But thanks for EML to PST migrator software which effortlessly convert my EML files to PST without any error and data leakage. Before getting EML to PST Converter tool, I was kept wandering for the right solution for converting my EML files into PST and the journey quits when I came to know about EML to PST Converter Software from blogs. With the help of this software, my productivity increases and I have enough time for other things also. The data security and confidentiality is the prime need of any organization. The need of security is the major concern when migrating or converting the data to other platforms to enhance the ease of use or productivity.Conversion of the bulk amount of data need sophisticated care and management, but you do not need to be panic because EML to PST Converter Software does your work in a professional manner without much needed attention and care. With the use of EML to PST migrator tool, you can convert any type of data irrespective of size limitation.The tool is so easy to use that anyone can operate it without having any technical background.